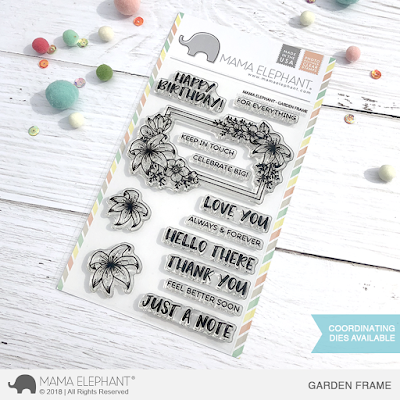 mama elephant | design blog: INTRODUCING: Garden Frame + PROMO!!! INTRODUCING: Garden Frame + PROMO!!! We're introducing Garden Frame today. This was designed in collaboration with the multi talented Paola Esteron. 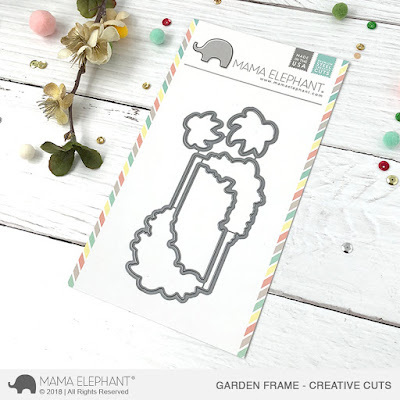 Garden Frame makes for a quick and easy card. Frame. Sentiment. Boom, done. 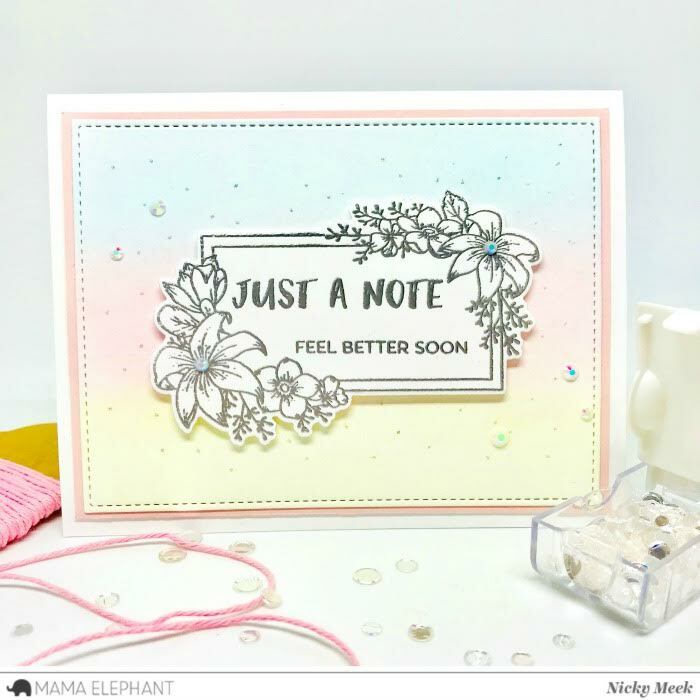 You can color the florals and frame of course or do what Nicky did here and created a beautiful gradient background of soft colors against the image. 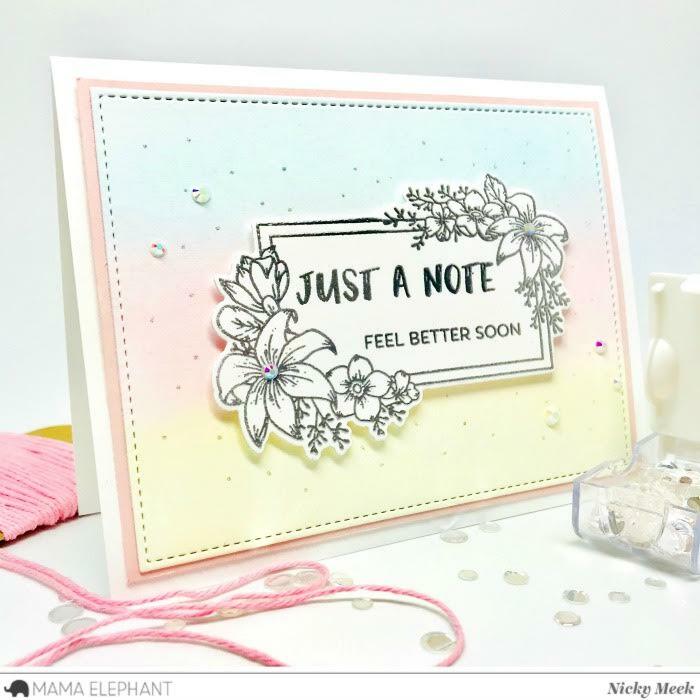 This stamp and die set is simply beautiful! So many creative ideas popping up in my head to use this with. Can't wait to get this in my stash! Hey! 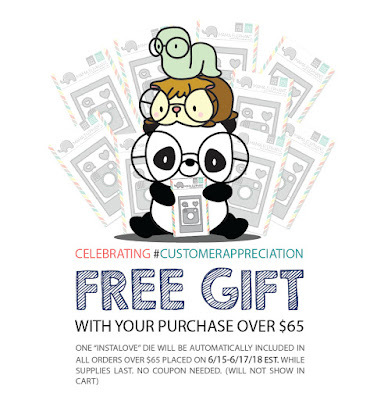 Just for your info, fellow stampers (and I hope this is ok to post).